Lock in a great price for Four Seasons Hotel Ritz Lisbon – rated 8.8 by recent guests! Nice property! Lounge area is wonderful. Comfortable room. From concierge, reception, restaurants, to housekeeping, laundry, we really had been in touch with great and helpful people! They are genuinely kind folks! I will decently recommend an experience! The Hotel is beautiful, perfect location, located right at the center of Lisbon, easy access to highways to go out of Lisbon on a tour. The restaurant is marvelous, and the staff is alway happy and friendly. Four Seasons Hotel Ritz Lisbon This rating is a reflection of how the property compares to the industry standard when it comes to price, facilities and services available. It's based on a self-evaluation by the property. Use this rating to help choose your stay! 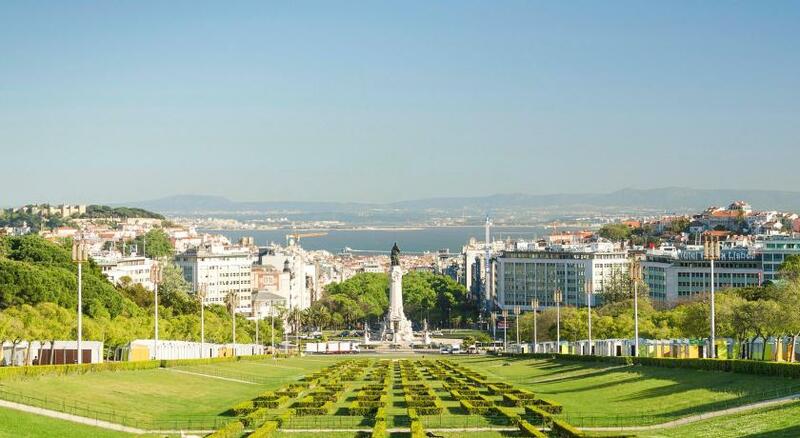 Featuring a fitness center on the 11th floor with an outdoor running track overlooking Lisbon, the 5-star Four Seasons Hotel Ritz Lisbon is located next to Eduardo VII Park. It offers a spa on site. Luxurious and spacious, each room at the Ritz features an elegant décor with classic elements. Some rooms have large balconies, and all private bathrooms come with free L’Occitane toiletries. Start your day with a lavish breakfast buffet, served daily at the stylish Varanda Restaurant, offering unparalleled views over the park. During the warmer months, enjoy a cocktail at the Ritz Bar’s summer terrace. In-room dining options are available 24 hours, and guests can enjoy sushi on select days of the week. Guests wishing to pamper themselves can enjoy treatments as acupuncture and lymphatic drainage or Ayurvedic rituals at the spa. The indoor swimming pool overlooks the hotel gardens and Lisbon's Eduardo VII Park. 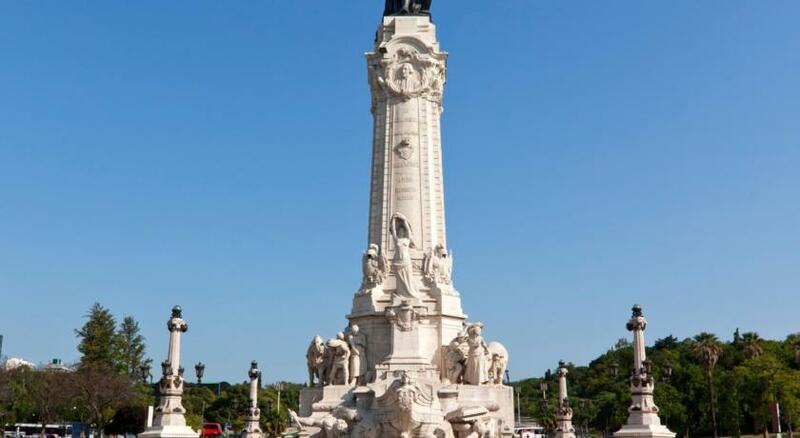 The trendy Avenida da Liberdade is less than 10 minutes’ walking from the Four Seasons Hotel, and the iconic São Jorge Castle is within 2.5 mi. The friendly and attentive staff is always ready to help, and exclusive concierge services are available at the Four Seasons Hotel Ritz Lisbon. There is a shuttle service to Lisbon International Airport, located 4.3 mi from the hotel. When would you like to stay at Four Seasons Hotel Ritz Lisbon? The Superior Rooms are located on the higher floors of the hotel and offer magnificent views of the city as well as on the lower floors for convenience. Most rooms feature a 9-m² private terrace. The bathroom is in lavish marble and includes a separate shower. The Superior Rooms are located on the higher floors and offer magnificent views of the city as well as on the lower floors for convenience. Most rooms feature a 9-m² private terrace. Decorated in imperial blue or country browns, the Deluxe Rooms have private terraces and outdoor seating, and overlook the Old Town, Eduardo VII Park or the Hotel gardens. They are furnished with a large working desk and include a comfortable seating area with sofa and superbly appointed marble bathrooms with a separate shower. Decorated in an Imperial style with green and beige shades, this extra large suite has a separate dressing area and a furnished 100 ft² private terrace. The black marble bathroom includes free L’Occitane toiletries. Featuring a private terrace overlooking the Eduardo VII Park, this suite has a large living room separated from the bedroom by a foyer. The bathroom includes free L’Occitane toiletries. Offering either Eduardo VII Park or Tagus River views, this imperial-style suite includes 3 large terraces. The living room is particularly bright and furnished with a very comfortable sitting area with sofa, a large executive work desk and a dining table that seats four. With a spacious private terrace with outdoor seating, the bedroom is furnished with an extra-long king bed, an executive work desk and a small dressing table. The bathroom is superbly furnished with black marble and includes free L’Occitane toiletries. On the 7th, 9th and 10th floors, the large and elegant Grand Suites overlook Eduardo VII Park and Marquês de Pombal Square. They feature replicas of Queen Mary II and King José I furnishings, supplied by the Ricardo do Espírito Santo Silva Foundation. This suite has a DVD player, bathrobe and CD player. Decorated in Bidermeyer or Pierre-Yves Rochon style, the Premier Rooms are located on the top three floors of the Hotel with some of the best views in Lisbon overlooking Old Town, Eduardo VII Park and the Hotel gardens. The rooms have an ample private terrace and outdoor seating, and are furnished with a large working desk, a comfortable seating area with sofa, and superbly appointed marble bathrooms with a separate shower. An iconic Hotel, Four Seasons Hotel Ritz Lisbon is located in the heart of Lisbon. Four Seasons service is paired with luxurious rooms, a unique contemporary Portuguese Art collection, fine-dining, an award-winning Spa, and a fitness on the rooftop. House Rules Four Seasons Hotel Ritz Lisbon takes special requests – add in the next step! Four Seasons Hotel Ritz Lisbon accepts these cards and reserves the right to temporarily hold an amount prior to arrival. Please note that all suites benefit from a complimentary airport shuttle service, to and from the airport. The service is for a maximum of 3 guests and is done by a Mercedes-Benz E-Class Sedan. Location of the hotel, quite far from city centre. Also, buffet options was limited to non-pork eaters. The hotel sets its sights at being a luxury hotel in Lisbon and that is exactly what it succeeds to be. The location is good, the staff pleasant the rooms excellent and the food good.